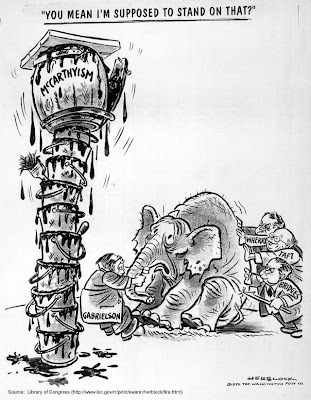 Tawdry Knickers: Herblock and "McCarthyism"
October 13 (1909) is the birthday of cartoonist Herbert Lawrence Block (aka Herblock), probably most famous for coining the term McCarthyism in a Washington Post cartoon from March 29, 1950. 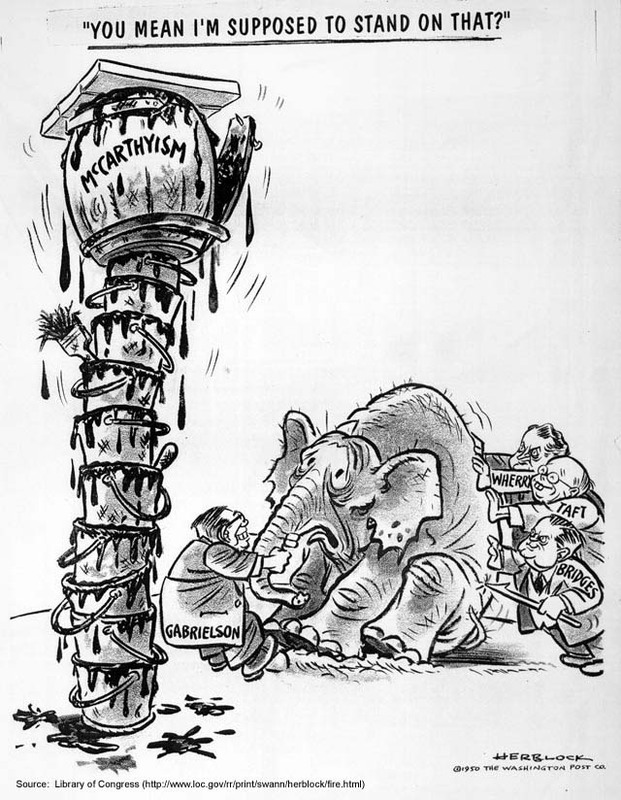 The cartoon features several Republicans trying to convince the party elephant to stand atop a stack of tar buckets, the top labeled McCarthyism. Herblock won Pulitzer Prizes in 1942, 1954, and 1979. He died today in 2001 at the age of 91.